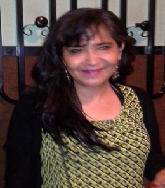 Maria Del Rosario Davalos Gamboa has acquired her Pharmaceutical Biochemistry degree from the University of San Simon, Bolivia. Obtained a doctorate Ph.D. in the Pontifical University San Francisco Xavier of Chuquisaca. She has more than 10 scientific articles published in prestigious Journals. She has started working at the University of San Simon in the Faculty of Medicine in the Laboratory of Nuclear Medicine and also in this faculty worked as assistant Research for more of 5 year. She was the Director of the Research Institute of the Faculty of Dentistry UMSS, she won a competency exam at the Faculty of Dentistry UMSS in the chair of Biochemistry and at the moment in this faculty is titular professor of the subject of Biochemistry. 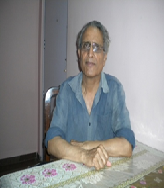 Dr Y K Lahir got M Sc and Ph D degrees and DHE diploma from university of Bombay (now University of Mumbai). Currently he is *Visiting faculty, Department of Biophysics, Vidyanagari, University of Mumbai, Mumbai-400098, teaching M Sc-I and M Sc-II students; *Visiting faculty, Department of Biological Science, Biological/Chemical Sciences, NMIMS, SCHOOL OF SCIENCE, (Deemed to be university) Shri C. B. Research, Vile Parle (W), Mumbai-400056; *Visiting faculty, Department of Environmental Sciences, Institute of Science, (Autonomous institute), Mumbai-400032 ; *Visiting faculty, Department of Zoology, Thakur College, Kandivli (E), Mumbai 400101, (Mumbai University), He has been teaching for 39 years. He has authored three books on toxicology, (book on nanotoxicity under preparation) 35 research papers, 16 review articles and one chapter on graphene as drug carrier. Dr. Fouad Moustafa Sharabi, Ph.D. is a Professor Emeritus of Pharmacology and Toxicology at the Faculty of Pharmacy, Alexandria University, Egypt. He has teaching and research experience, professional background including Pharmaceutical, Hospital and Clinical Pharmacy services.Previously he was enrolled in academic leadership positions: Head of Pharmacology and Toxicology department, then as Vice Dean of students affairs and acting Dean of the Faculty of Pharmacy.Presently he is also the Head of the National scientific committee for Faculty promotion of Professors and associate Professors in the specialization of Pharmacology and Clinical Pharmacy of the Faculties of Pharmacy in the Egyptian Universities.Additionally he was involved in various activities including Continuing education services, drug development for Pharmaceutical Companies, certified Specialist of Medical Analysis and administrative work (previous General coordinator of clinical pharmacy program). He was honored by obtaining the University of Alexandria Appreciation Prize 2014. He has participated in several local and international scientific meeting and invited lectures and coauthor of several International textbooks.